VOTED BEST Roofing Company | Beneficial Roofing Company | Call Us Today & See Why! | HOME - Beneficial Roofing | VOTED BEST Roofing Company, Call Us Today & See Why! Get A Roof Inspection Today! Introduce yourself, tell us just your first name? 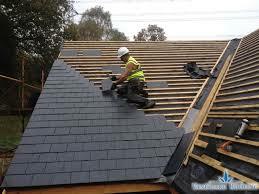 Looking For A Great Roofing Company? A solid roof is incredibly important, as it protects your house from the elements, and keeps the foundation of your house protected from rotting, as well as excessive mold and mildew buildup. When it comes to hiring the right roofer, the decision is up to you. You must hire a roofing contractor that you are comfortable working with, and someone who has the experience and skills to give you a great roof that will last for years and years to come. If you find a contractor that does that, you have a winner! When getting a roof replaced or repaired, it’s important that the contractor involved gets the job done correctly. Failure to do so can result in problems like weather damage, structural issues, rot, and other issues that might cause damage to the entire building. As you search through roofing companies in the area, you’ll want to ensure that they are both reputable and prepared to work safely and more efficiently. At a minimum, these qualifications are essential for any company to gain your trust. In most states, it is illegal for roofing companies to operate without an up-to-date license. Even in states where this is not the case, good licenses are an assurance that the company is known by the state to operate under good practices. They also function as a form of insurance, since a dissatisfied customer can file a complaint with the state licensing board. Speaking of insurance, make sure that they have insurance for both liability and workers’ compensation, at a minimum, to keep yourself safe in the case of an on-the-job accident or damage to your property. Though it’s standard practice for roofing materials to carry a warranty, you should see to it that the contractor offers a guarantee on the installation. This is a sign of confidence in their work because if anything goes wrong with the installation, they will then be liable for it. You also want all materials to be relatively new and have a warranty that is good for at least 25 years. 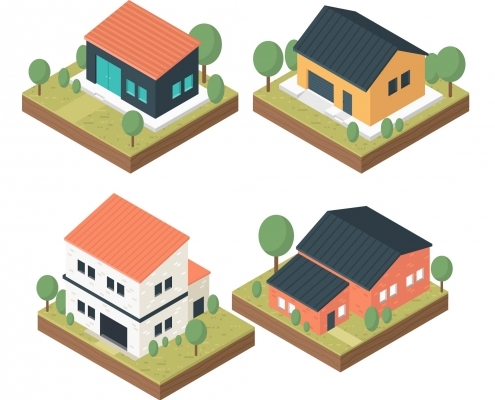 While the approval of the state is the bare minimum for operation, word of mouth is where a property owner can find out if a contractor does the job properly. It’s best if you can get some recommendations from savvy friends and neighborhood business owners, as they will be a trustworthy source. Since they will only hand you a list of happy customers, it’s a good idea to check with the Better Business Bureau to find out about any complaints, and more importantly, how the company responded to them. Finally, it’s a good idea to ask about the workers who will be on your property. Does any state governing board license them? Do they have special vocational or safety training? Remember that these people will be on your property for several days. These things will also ensure the quality of work and a minimal chance of on-site injury. Beyond researching the contractor, there are a few other ways you should prepare yourself. Talk to your insurance company to see if they will cover any of the costs. Make sure you get a written estimate beforehand and take your time before signing a contract. Do your research to make sure that you’re getting quality work. We promise to listen to the ideas you have for your project. We are licensed and bonded to ease your concerns. We have been in this industry for a long time and we will bring that experience and expertise to your home. David did a great job with our roof. He dealt with and met the insurance from start to finish, I almost didn't have to do a thing! They did everything in a timely manner and cleaned up their mess. I will refer Beneficial Roofing to anyone that needs a roof. I needed my roof repaired after a recent storm and I was deciding between two companies for the job. I choose Beneficial Roofing for their fast, friendly service and I am glad we did! I highly recommend them for roofing repair. If we ever need a replacement, I know who I will call. They did a good job for our house! Thank you! This company has done a lot of work in my neighborhood and everyone I've spoken with about them seem to be very pleased including myself! I would recommend.. I had a pretty big commercial job in Memphis that I had Beneficial Roofing do and they completed it in a timely manner- I am very impressed! I had some storm damage to my roof that I need repaired and Beneficial Roofing did an excellent job and didn't cost me an arm and a leg. Recently noticed a leak in our ceiling upstairs so I thought the roof just needed to be repaired and Beneficial Roofing came out and saw that I had storm damage and they told me that my insurance would cover it. I had my doubts but sure enough they dealt with everything and the insurance company did cover the cost of an entire roof replacement! These are days that I love insurance. Thank you Beneficial roofing for my new roof! Very clean, fast, polite, & professional- couldn't ask for more than that. Will recommend them to others. My experience with Beneficial Roofing of Memphis was fantastic. They exceeded my expectations for a local roofing company. I would highly recommend them and would use them again. They came when they said they would, they did what they said they would do for the price we agreed upon. That is a win in my book. I'll keep their number handy. Call them for yourself and you'll see why. They were professional, prompt, honest, & helpful. I was in charge of the roof repair project at my work and I called these guys and everything was so smooth that it made me look like a hero- Thanks! Thank you to Nick of Beneficial Roofing of Memphis. He was fast, nice, professional and efficient. His team took care of our leaking roof with ease. Will definitely use them again in the future. I can honestly say I am impressed with this roofing company. I didn't know what to expect since this is the first time I had to call a roofer. But they were very helpful and informative and made everything as painless as possible. Beneficial roofing did an excellent job replacing my roof! The service was quick and the roofers were very friendly. We LOVE our new roof! My father in law referred this company to me and they did a great job! I have had two other company's come out already and try and patch a leak in my roof and this company is the only one that actually did the job correctly. Save yourself the hassle and call this company first! Beneficial Roofing did a great job repairing my roof, I highly recommend. Their cleanliness was very important to me and they exceeded in this area. They replaced my roof in a day and clean up all of their mess- very impressed! These guys were very professional and clean. I called with a roof lead and they were out a couple days later and the problem was fixed in hours. WOW, These guys are awesome! I didn't think I was going to get insurance to pay for it, but David was really professional knew what the insurance company needed to see before they would agree to pay for it. I am glad I called someone with experience.
! !These guys did such an awesome job for me.. I will refer them in the future! Thanks again Dusty. just loved it . Beneficial Roofing did a great job at a great price and they made it easy. I secured three bids and Beneficial Roofing was the lowest. 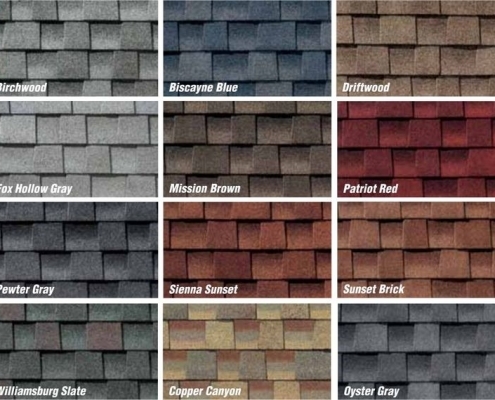 David came over to review shingles and 20 year versus 25 year shingles, colors and options. During construction the Beneficial Roofing team took every precaution to protect my landscaping and lawn. I couldn't be more happy with the outcome.